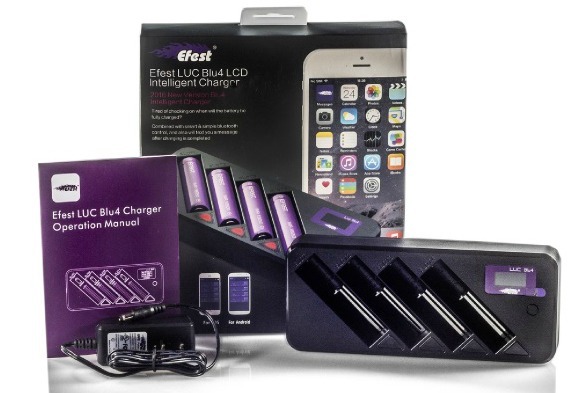 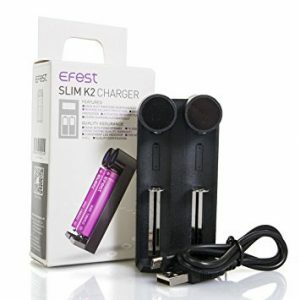 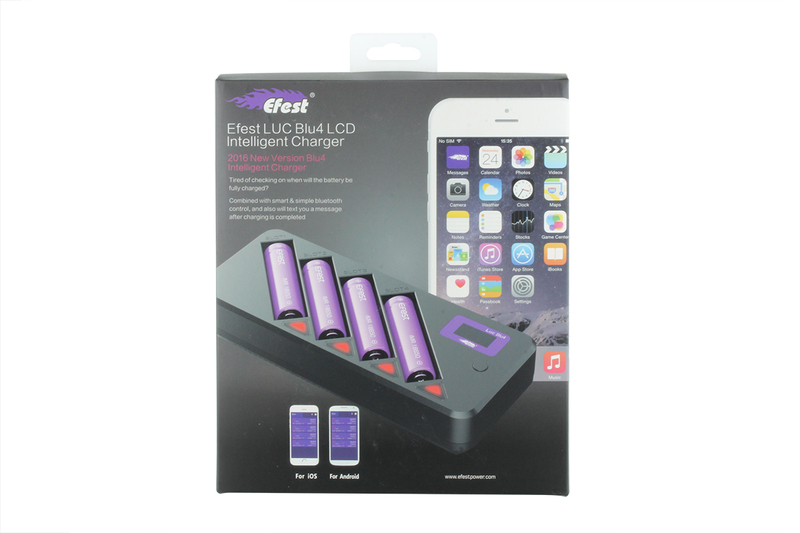 The Efest LUC BLU4 is a high-end intelligent charger using the display interface Via App Store for Android or iPhone. 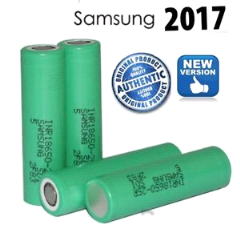 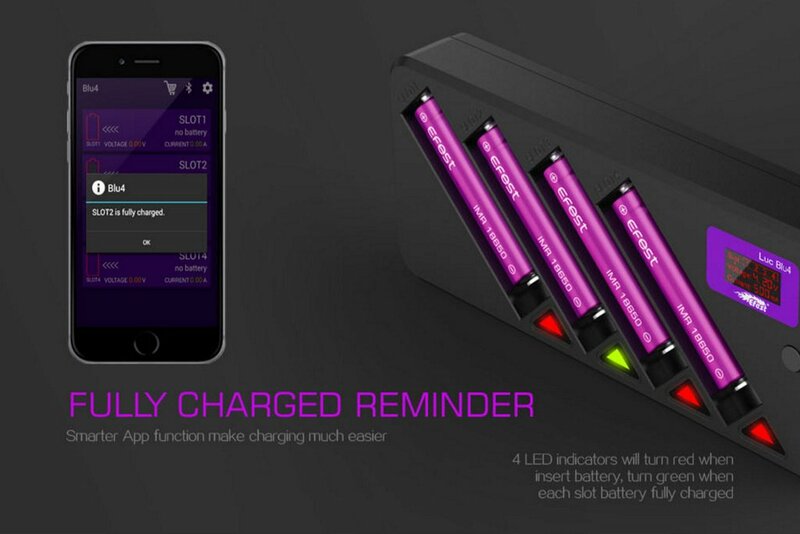 The App screen displays battery voltage and the charging mode of each slot. 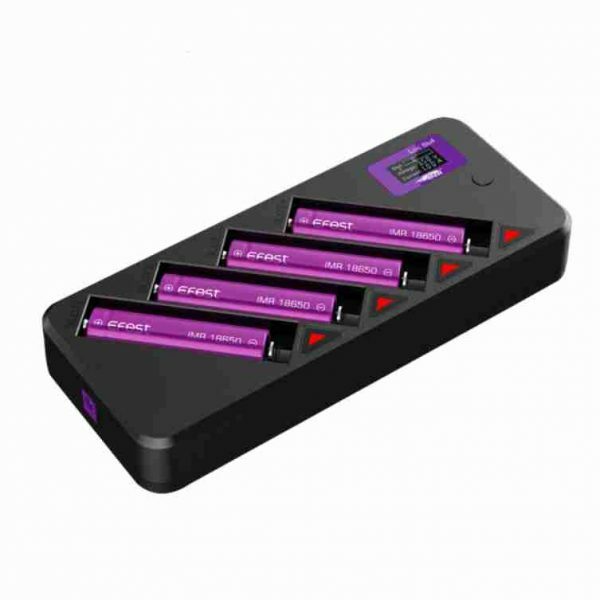 Four slots work independently using features such as reverse polarity, short circuit and over current protection. 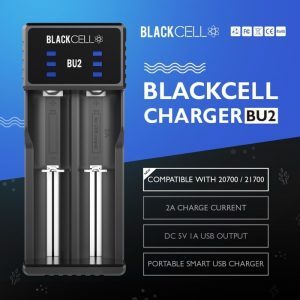 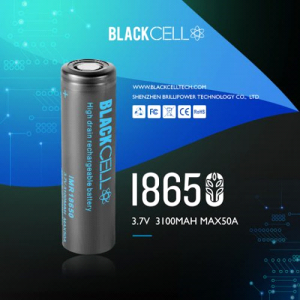 The LUC BLU4 is compatible with a wide range of 3.6V/3.7V lithium batteries used in TC, Mech Mods, flashlights, electric tools, instruments, meters and more.